This guide explores B2B blogging in full, showing you exactly how you can start or improve your blog, easily and successfully. It has been updated and expanded to provide an even more thorough and current handbook for B2B blogging success. Blogging is the essential B2B marketing tactic of our time. It is a cost effective, reliable and scalable way to build more traffic for your website. And it is the lab in which you discover which topics matter to your audience. A blog post is a launchpad from which you can turn anonymous visitors into engaged and converted leads. Other tactics, like video, messaging and social are on the rise, but none have supplanted the essential value of blogging. Setting up and sustaining your business' blog is going to take work. But it will be worth it. Blog content checks so many B2B marketing boxes, it's almost unbelievable. The search engine optimisation benefits of blogging are justification for doing it alone. Every blog post you publish creates an additional page on your website that can be indexed by search engines and discovered by their users. Over time, this traffic can far exceed that which your website could generate alone. Blog posts have another super-power though - the ability to improve the authority of core website pages, helping them rank more highly for competitive search terms that are more likely to be used by purchase-ready buyers. The combined result of more pages and higher rankings is many more impressions (people seeing your site in search results) and, if done right, more leads - as we will discuss later. Notably, blog posts let you achieve all of the above, at scale, without compromising the clarity of your main website or your value proposition, both of which need to be carefully maintained to ensure that purchase-ready visitors convert into buyers. Blog posts typically target long tail search terms and can reach buyers earlier in their decision making process - helping you build trust and preference among them, giving you an early advantage in their later purchase decisions. If you keep it up, consistently providing the answers to buyers' questions, you will start to developer greater levels of authority in your space, and your ability to reach buyers and influence decisions will steadily grow. In a time when B2B buyers are shifting further and further toward self-service, performing more and more of their research and decision making online, reaching them early in their buying process and forming a connection with them is invaluable, giving you the opportunity to earn a place on their shortlist and be in the running when a purchase is finally made. By virtue of being educational or problem solving, and non-salesy, blog content is considerably more shareable than your other online content. Sharing your blog content yourself gives real substance to your social media strategy and there is greater likelihood of it being shared and re-shared by others too. Unlike advertising and other paid channels, which stop producing when you stop paying, blog posts provide returns that can last for years. Publishing more blog content layers more and more of these returns on top of one another, meaning you can continually grow the traffic you receive (and the leads and opportunities this generates) without continually growing your budget. A blog post that you publish today has the ability to generate traffic, leads and opportunities for your business. That content will, in most cases, continue to exist online and remain relevant indefinitely, driving results for years to come. Now, each time you publish new content with the same ability to drive traffic leads and opportunities, it is added to all the content you published before. Keep this pattern up, regularly posting new content that generates traffic, leads and opportunities, and you can command an ever increasing volume of all three. It is worth mentioning at this point that not all the blog posts you write will drive traffic in equal measure. The reality is that your blog will consist of a mix of high and low traffic posts. In fact, the low traffic posts will probably outnumber the high traffic ones ten to one, but this is normal. There are so many factors affecting whether a blog post will be a hit, in terms of traffic, and if that traffic will increase or decrease over time, that it is basically impossible to know before publishing. However, as long as you continually create content that speaks to your buyer's real challenges, and always perform SEO to improve the potential of other posts and pages, you should produce some posts that shine above the others. On the other hand, if you never blog or spend all your time trying to figure out how to produce one stellar post, results will be a long time coming. How long you have been doing it. Producing enough of the right kind of content is one of the main challenges cited by businesses when it comes to blogging and content marketing, and it will be your main challenge too. There is no silver bullet for this. You've just got to work out the right combination of people and processes that gets you where you need to be as quickly as possible. When I first started blogging for Blend, the process that worked was me going to a local coffee shop for a couple of hours each Saturday morning and writing a couple of posts. That’s just what worked when I wanted to get the blog up and running without impacting other activities. Now that our blog has matured, it is a team-wide activity with everyone able to support the blog in some way - recognising that not everyone is a natural writer. Blogging requires a high and sustained volume of original ideas in order to succeed. Fortunately, being aimed at buyers at all stages of the buying journey, it is also an area where you can give yourself a wide remit. Anything that is of (genuine) interest to your buyers in the context of what you offer is fair game. The basic approach that you want to follow when coming up with blog posts is always try to answer questions that your potential customers may ask. Fortunately, blogging can be made much easier by having a strategy in place. Blogging strategies can vary in their complexity and level of detail. Even a simple strategy, consisting of just the following elements, will make blogging for your business easier to sustain, and more effective. Knowing who your audience is - who you are really writing for - is necessary for success. For those that are new to business blogging, it is relatively easy to fall into the trap of writing content that appeals to you, on the inside of your organisation, rather than to your ideal buyers. Blog posts about event attendance, new hires, or funding rounds may be easy to write, but they are going to do little to make you more discoverable to potential future customers. The primary purpose of defining a persona, then, is to make sure you produce content that is outward facing. Content that answers questions and solves problems for people who have never heard of your company or its offering. Refining your personas further will help you to focus on the issues that matter most to them. But don't sweat this part too much. In B2B purchases, decisions are governed less by impulse and emotion than by comparison and justification. Focus on writing content that is relevant to your buyer, rather than you or your boss, and you will be on the right track. You can also revise and refine later. A mistake we see happening all the time in B2B is businesses thinking that they should market to lots of different personas simultaneously. The rationale being that there are multiple influencers in the decision making unit and in order to succeed our marketing has to convince them all. While the statement may be true, every additional persona you add to your marketing plan either reduces the marketing budget than can be focussed on each one or necessitates a large increase in the budget. Since budget increases are hard to come by, it's better to limit the number of personas so that the budget doesn’t become to diluted. Create content for the number one persona that can bring you the most new business today. Your content will still appeal to other members of the DMU, I assure you. Also don’t confuse the number of personas in a drop-down form field with the number of personas in your marketing strategy - they are two totally different things. When blogging for your business, it's important to remember what subjects you are trying to develop recognition and authority in. Your choice of blog topics. You only want to blog about subjects where you have knowledge or experience, or where your ability to research and present impartial information can be demonstrated. Your content strategy can take many forms. A useful model to bear in mind is the 'hub and spoke' model. 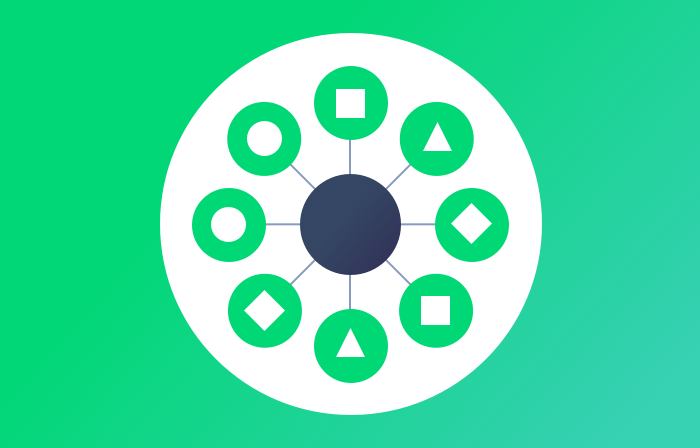 At the centre of the wheel, in place of the hub, is a key page or piece of content that you want to promote. Around the spokes of the wheel are the blog posts, and other content, that you will create that link to and promote the hub piece. Broadly speaking, the more spokes you create around a hub, the better it is likely to perform. A campaign approach, in which you plan to focus on a key asset for a finite period of time, can work as well. There is a caveat to this however. 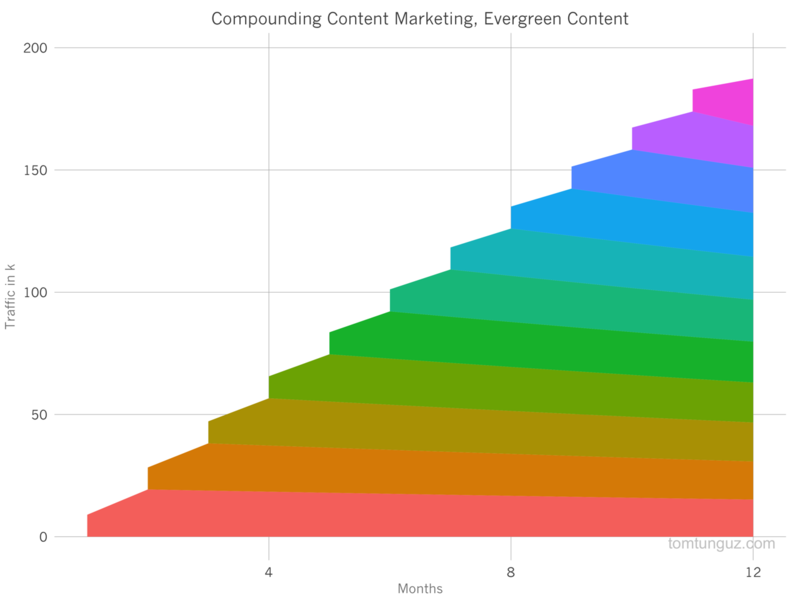 The beauty of blogging (and content marketing) is the lifespan of the content you create. Buyers at all stages can still be looking for and discovering the types of content you create months and years after you hit publish. Therefore, it pays to include old campaigns in your ongoing content creation and promotion so they retain their position and power. There is no right or wrong way to blog, per se. There are, however, proven ways to write, structure and format blog posts to achieve the objectives of engaging the reader, building trust, holding attention and transferring value. B2B buyers are time poor. They don't have time to read much, if anything, in full. By writing concisely and getting to the point quickly you can signal to the reader than you are a trustworthy and knowledgeable source, even if they never reach the end of a piece of your content. Plus, if you reveal the most important elements of your post quickly, people are more likely to continue reading to find out how you reached your conclusions or how to implement the same for themselves. Since your target audience isn't reading your blog posts for pleasure, the narrative structure isn't suited to achieving your objectives. Instead, writing in the inverted pyramid style, where you present the most important information first, before expanding into increasing detail, will have the greatest success at engaging and influencing your readers. To be of any impact, your post has to convey valuable information of some sort. It should also do this in a complete and actionable way. Make sure that you, or your writers, understand the subject of any post before writing and know in advance what conclusion you will draw the reader to. 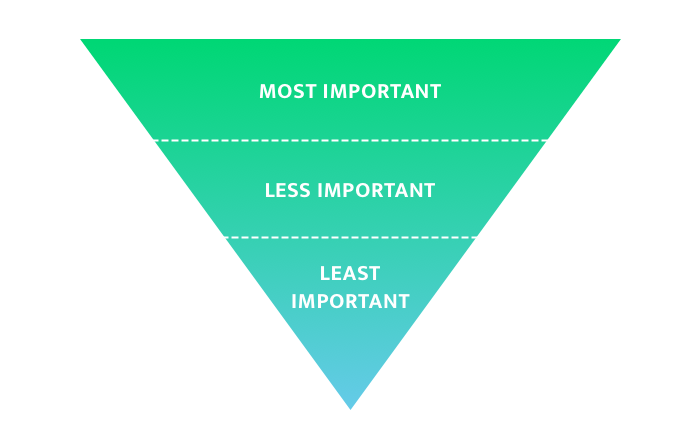 It's hard to write in the inverted pyramid style mentioned above if you do not know where your piece is headed when you start. Resist the urge to tease larger pieces of content with incomplete abstracts or to write multi-post series. These do not align with your buyer's research and decision making processes and are likely to deter them from continuing. Besides, long form content, on average, ranks better in search engines and creates deeper engagement (measurable in things like time on page) with prospects. Help your readers scan your post if they want to, keep their place if reading in full, or find the key data and takeaways by formatting your content helpfully. Use short, informative subheadings to break up long posts and provide readers with navigational markers. If scanning your post, these will help to inform readers where to stop to find the content they are most interested in. Limit the line length. Broadly speaking the optimum line length for readability is 50 to 60 characters. If you go any longer than this, readers' eyes have a hard time focusing on the text and keeping their place in the line. Go too short and their eyes have to fly back to the start each new line too often. Either one can lead to frustration, loss of concentration and, ultimately, abandonment. Use bullets, numbered lists, bold text and blockquotes to highlight key elements and to make dense, detailed information easier to consume quickly. While search engines are still addicted to text, we humans are very visual creatures. Blog posts with images get more views and shares than ones without, simple. Just like the subject line of an email, your blog post's title needs to do the heavy lifting - getting someone to read it in the first place. Your title should be an inspired blend of intrigue and promise. Remember to keep your titles short (you want them to appear in full, if possible, in search engines) and to optimise them for attractive, relevant keywords. Every blog post should feature a relevant call to action. Visitors to your blog are likely to be in problem solving mode. They will be discovering content through search engines like Google and visiting posts to see if they meet their immediate needs. The chances are high that they will bounce, leaving your site without visiting any other pages during this session. However, if you can align your blog post with a call to action offering an attractive next step, such as a relevant ebook or product free trial, you can turn some of those visitors into contacts, leads and opportunities. As you develop more conversion offers, you will be able to create better alignment between offers and posts, increasing your overall click through and conversion rates. While the formatting of your blog post is important, so too is the layout of your blog. Popular website design patterns lead many businesses to make mistakes here. It's common to see blog posts surrounded by distracting clutter - things like topic lists, related or recent post links, subscribe forms, social sharing buttons, side-bar calls to action, and more. All of which impair a reader's ability to focus on the content and reduce the potential for conversion. Side-bar CTAs are a particular puzzle. Contrary to assumptions, putting a CTA for a popular piece of content alongside every post, in B2B blogging anyway, does not increase the number who click and convert on it. In fact, in our experience, side bar CTAs generate hardly any clicks or conversions whatsoever. Readers of B2B blogs also tend not to interact with topics, recent posts, related posts and other navigational aids that are often offered. The ideal blog layout focuses on the readability of the content by forgoing the distractions that reduce immersion and engagement. Lose the sidebar altogether, including all the typical adornments that go there. Remove social sharing buttons and comment forms. Restrain the use of author bios, topic labels and subscription forms, if you must have them. Focus first and foremost on the readability of the post. Original content, like your blog posts, are the lifeblood of modern SEO. A little care and attention is needed though to make sure that they achieve their full search engine potential and that you realise their full SEO benefit. Bearing in mind the topics and keywords that you want to rank for, optimise the following aspects of each post. Meta titles are one of the major ways that search engines evaluate what a page is about and often are the first thing a potential visitor will see. Your meta title should match your bog post's title, after all, you crafted it to grab the attention of the reader. Your blogging platform may make these two things the same automatically. There is no need to add your brand name but, if there is space after the title, feel free to do so. Optimal length for meta titles is currently 50 to 60 characters. There is no exact number because Google's titles are limited by pixels not characters, with different letters taking up different space. Google will also make words in titles bold if they match the search query, and this takes up more of the available room. Moz suggest that by staying within a 60 character limit, you can expect about 90% of your titles to display in full. Meta descriptions can help you to control the snippet that Google shows after the page title in search results. Google doesn't always show your meta description, but having one increases the chance that Google shows a complete and relevant snippet for the most attractive search terms. Meta descriptions do not influence your position in search results, but optimising them can influence the click through rate when your blog posts are seen. An effective method for creating a good meta description is to pull a particularly compelling, revealing and exciting passage from the body of your post. This can then be tweaked or paraphrased to make sense stand-alone and fall within the target character count. This approach typically ensures that search users are given sufficient value right on the search results to get a good number of them clicking through. Note that Google will again bold words in the meta description if they match the users search query. Therefore, it's worth ensuring that your target keywords are featured in your meta description if at all possible, ideally towards the start. For a long time the maximum number of characters that would be displayed in a Google snippet was 165. In 2017 Google increased that number to 300, and then quickly walked back on the change, settling on snippets that are on average "slightly longer than before the change". Google also said "There is no fixed length for snippets". Confused? So are we. The best advice is probably to aim for the original 165 mark but to allow yourself more characters if you need them to form complete concepts. H1 is the HTML tag usually applied to the first, largest and most important title on the web page. After the meta title, the H1 title tag is one of the most important on-page ranking factors influencing where Google places you in search results. Your blog post title should already be optimised for target keywords so all that is needed is to ensure that your blog layout has the H1 title tag applied to the blog post title and only to it. 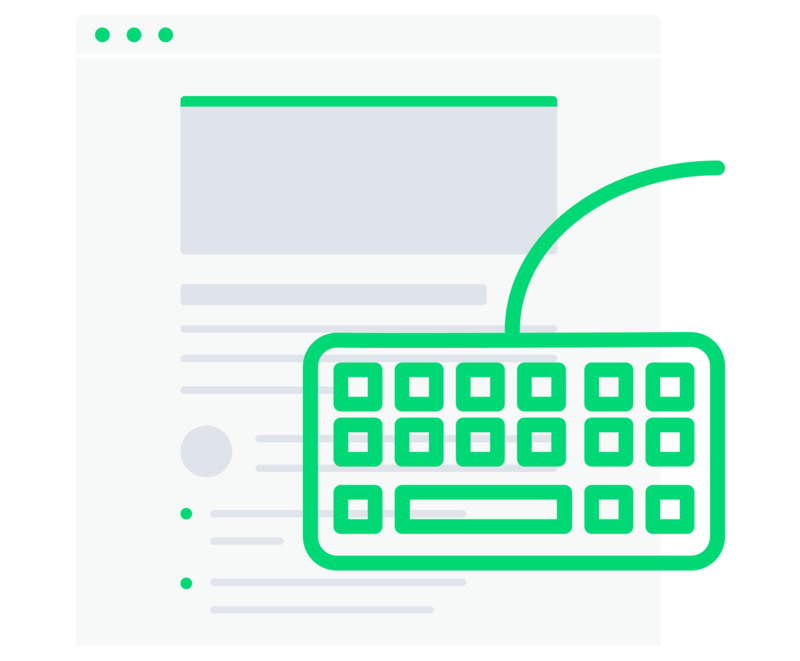 Aside from being an important accessibility factor, image alt text helps Google understand the content and context of your images and the pages they sit on. So go on, put in alt text so even Google knows that's a picture of a kitten in your post. Internal linking is how your blog posts acquire their second super-power, the ability to confer authority to other website pages . By carefully and consistently linking the topics from your content strategy, as they appear in your blog posts, to the website pages that are optimised for them, you provide signals to Google that those pages are authoritative on that topic. The more you blog with consistent internal linking, the more your core pages can rise up the search rankings for more competitive terms. If well written and optimised, your blog posts will attract organic search traffic all on their own. But you'd be missing an opportunity if you didn't promote that content in other channels. Blog promotion is an entire topic in itself that we will not cover in detail here. Suffice to say that there are a whole host of methods for promoting your content so that it reaches a wider audience, some of which will also contribute to your website's authority and SEO. Build the following basic techniques into your blog publishing process and then decide for yourself if you want to pursue more intensive methods. Share your content to your social networks using carefully crafted previews, images and links adapted to the format requirements of each platform - and at the correct frequency. A blog digest - which is easily automated - is a great way to get new blog posts out to your existing leads and works well as a long term lead nurturing instrument. If your publishing schedule is in the typical B2B range of 2 to 8 posts per month, we recommend a daily digest that sends each post out individually but at a fixed time. Googling 'blog promotion' or 'content promotion' will turn up thousands of articles claiming that without advanced promotion (effectively, link building) any effort spent blogging is wasted. In B2B environments, we are not entirely sold on this belief. If you measure blog success in terms of views and traffic only, it may hold true, but we have managed to grow traffic, leads and opportunities for ourselves and clients without it. We recommend that you do not let the challenges associated with promoting your content put you off producing it in the first place. There are a number of ways that you should measure blog performance that will also help you to steer future strategy and, potentially, improve the value of past work. Lots of tools can show you how many visits your blog posts are receiving from organic search results. Posts with high visits can show you what topics and post structures resonate with search audiences. In addition to bringing traffic in, blog post should lead a proportion of visitors to other website pages and conversion offers. Measuring the click through rate on different calls to action tells you which offers are most compelling, helping you to optimise their placement. When measuring blog posts using the above metrics, there are two commonly occurring scenarios that warrant special consideration. If a blog post is generating tons of traffic but is not getting many click throughs, it probably isn't generating many leads. In this scenario it is worth exploring whether there is a better call to action that is more closely aligned to the topic of the post and readers intent. If there is not, it may be worth creating a piece of content specifically for this and similar posts. By doing so you may be able to increase the click through rate and grow the proportion of the high traffic that goes on to become leads. If a blog post is generating low visits but has a high click through rate on the call to action, it stands to reason that more traffic to the post would result in more clicks and leads. In this case it is worth analysing the SEO of the blog post to see if its ranking can be improved. Check if it is being indexed by Google, can be optimised for more popular keywords, or the title and post can be reworked into a format more suited to the potential search traffic.